There are now more pirate attacks in the Gulf of Guinea than off the coast of Somalia. Mary Harper travels to Lagos to explore the highly complex world of piracy. There are now more pirate attacks in the Gulf of Guinea than off the coast of Somalia - once considered the global 'piracy hotspot'. 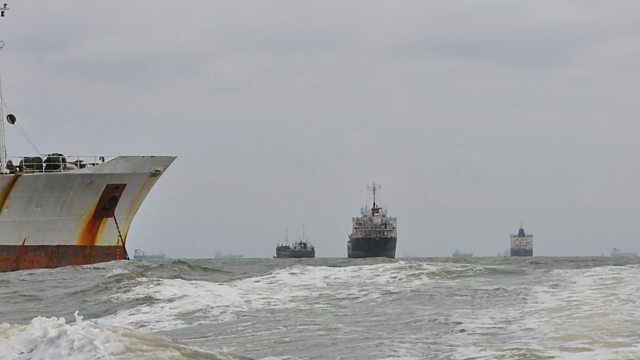 The BBC’s Mary Harper travels to Lagos, one of the busiest ports in Africa, to explore what is a highly complex world of piracy. She tells for the first time the story of seafarers who have been caught up in violent and highly-organised attacks, speaks to former militants who themselves committed acts of piracy and who are now controversially being employed, at a high cost, to tackle piracy and examines the economic cost to communities who depend on maritime trade.